Hope is the belief that the future you imagine can become a reality. Without hope there is no way to imagine a better life for us or our loved ones. Dr. Karl Menninger believed that patients who had a sense of hope had a better prognosis for recovery- all things being equal-than those who felt hopelessness. Resilient people have hope for a better future and can envision when things will get better. In a book I wrote called Out of Balance? 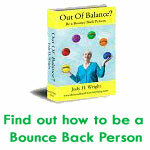 Be a Bounce-Back Person I studied how resilient people bounce back from adversity. One of the most important findings, not only in research but in conversations, was the deep seated belief that they deserved good things to happen to them. Rather it is a transformational process where those who are resilient recognize that even though they are in the midst of trauma or travail that “this too shall pass.” They have the ability to imagine a future that looks brighter and have hope for a better tomorrow. Most of us are familiar with depression, apathy and a negative perspective on life. If we have not seen them in our own mirror, then we have seen them reflected in the faces of co-workers, neighbors, family members, or strangers in the grocery store. Vacant hope or hopelessness is a condition of always yearning for unrealistic expectations. With a hopeless mind set, many people have starts, but few completions. There is this vague idea that something or someone will come along to make life better, but they cannot form a vivid picture in their mind. Another major surprise for me in researching the book on Resilient and Bounce-Back People was how much the simple kindness of strangers could boost their self-esteem and enable them to find hope. Many who had suffered unimaginable trauma and abuse were able to see a “light at the end of the tunnel” by having a person give them some sense of possibility. The reinforcement of their worth caused them to recognize that among the horrible things that had happened were some moments of joy and light. Being acknowledged and seen are two very profound human needs. Just a pat on the back, a kind word of encouragement or mentoring how to solve problems can change lives. If you want to be more hopeful, then imagine good things coming to you. This is not an easy step because you may not have the experience necessary to have seen good things in action. Imagination is envisioning a future that is better. Once you can picture a more hopeful future, take steps to make your vision come true. Set small goals and make a decision to move forward in hope and anticipation. Making a decision is the basis for all forward movement and resiliency. Even though I may not know you personally, I know you were drawn to this article for a reason. 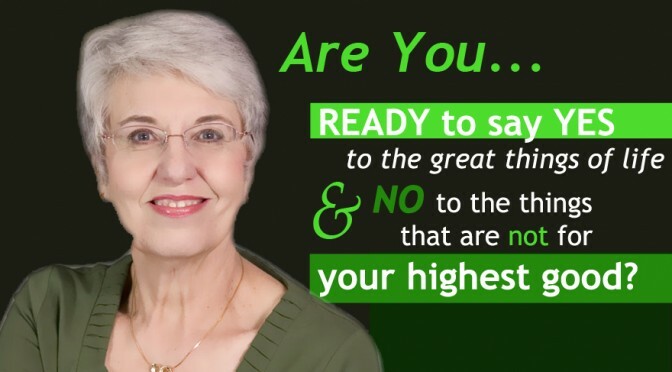 You want to increase your hope in the future and overcome the despair of hopelessness. I have faith in your ability to do this. You are welcome to abundance in every area of your life. For more information on resiliency, please see Out of Balance? Be a Bounce-Back Person and join our community of kind, thoughtful people who want respect for all.